THERE are animals, of which man is the best example, that depend very much on experience to define their behaviour. It is to such animals’ advantage to live in complex social groups where they all know each other and can learn from others’ experiences. In such societies one can find the origins of what is called ‘hierarchy’, the ‘pecking order’, or again, the ‘social status’. Since wisdom and experience are equated with age, it is very often the older animals that become leaders of a group. 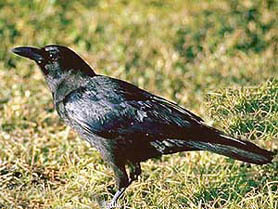 Among birds, members of the Corvidae family, like crows and jackdaws, live in social groups where there is a strict pecking order. This is the reason that crows do not know instinctively who their predators are and what they look like. It is experience handed down from generation to generation that dictates how the birds react at any give moment. For instance, if a younger, inexperienced bird makes an alarm call the group may not react to it unless an older and experienced bird makes a move. It is again the duty of the supposedly wiser and older bird to keep the flock disciplined and intact and also to maintain order. If we go into a more detailed investigation of the behaviour, we will find that older or high-ranking birds at times look after and even protect the low-ranking members from those in the intermediate ranks. Scientist Konrad Lorenz is of the opinion that the low-ranking birds elicit less of an aggressive response in high-ranking birds than they do in the birds occupying intermediate ranks. According to him, perhaps this is the reason that older birds come in defence of ‘underdogs’ and this is how order is maintained in the group. A complicated situation occurs when an unpaired female jackdaw, whose rank is lower because of her status, pairs with a male of higher rank. By virtue of pairing off with a male of higher rank this female too acquires a higher status and can ‘lord’ it over females that had earlier enjoyed higher status than her. This behaviour occurs in many more living creatures, including primates like baboons and human beings, where a female of lower social standing can, by marrying above her, acquire a higher status in keeping with her new role. In animals that live in social groups, there is a behavioural mechanism to prevent animals of higher status attacking and severely injuring animals occupying a lower status. One such mechanism is the appeasing behaviour of an unpaired female herring gull as she solicits an unpaired male that is at the time potentially aggressive. Although the ‘threat’ is enough to drive off intruders, in the social group the animals must live in harmony and yet be aware of their status, albeit subconsciously. A new form of behaviour then comes into play – the submissive response. Whenever a low-ranking or physically weak animal feels that it is about to be attacked by a dominating or stronger animal it immediately adopts a posture of submission and remains inviolable while it is in that pose. This can well be illustrated by the example of dogs. Two dogs, when they meet on one or the other’s territory, may well attack each other. Usually, the one that is on the other’s territory senses its position to be weaker and less tenable and it adopts a submissive posture. For this it stands sideways, cringing before the dominating animal with its head turned away and its neck exposed. The aggressor could very easily grab the submissive dog by the neck and kill him, but some instinctive code of honour prevents this. Then, having ensured his dominance, he walks off proudly, leaving the other dog to slink away as honourably as he can. The same kind of submissive behaviour is also seen in baboons and rhesus monkeys when they’re in their natural surroundings. They live in well-organised groups where the leader commands full submission from other members and in return he co-operates to protect the females and young ones from danger. The behaviour to appease the dominant male among monkeys or the show of submission is acquired through grooming. It is rare to see openly aggressive attacks among monkeys when they’re in their natural surroundings, but when they are held in captivity the hierarchical order in the group breaks down completely. It is often seen that then the instinct to cooperate and protect the weak vanishes and fierce fights occur among members of the group. Dominant males often become tyrants and attack and maim or kill the females and infants as well as submissive males. Thus, the whole society in captivity becomes violent and destructive. How relevant this type of behaviour is to our situation of overcrowding and lack of freedom is a matter of debate.